Instead of the usual division into Gallicas, Damasks, Albas, Centifolias, Moss roses etc. 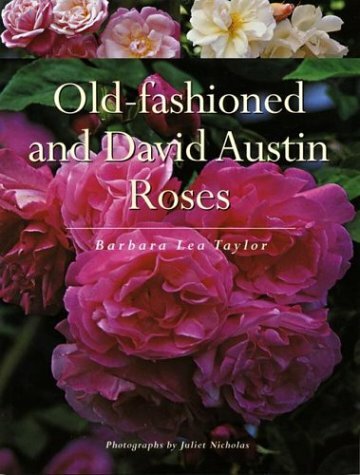 the chapters are divided into History, once-flowering old-fashioned roses, Repeat-flowering old-fashioned roses, David Austin roses, Cultivation, Landscaping with old roses and the book contains over 160 rose varieties. As you read this book you can virtually smell the scent of your successful roses as though it were a warm June evening. ‘Discovering old-fashioned roses is often the beginning of a love affair that lasts a lifetime. 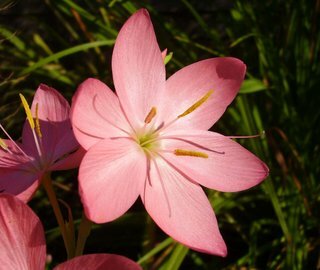 These beautiful plants offer you not only fragrance and beauty, but also a fascinating link with the past. In this beautiful yet practical book, some of the most popular old-fashioned roses are described in detail and illustrated in full colour. 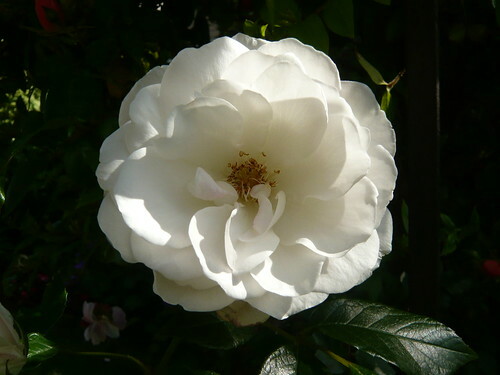 There is a complete chapter on the work done by David Austin in the 1950s and 1960s to create new English roses. Topics include species roses; Gallicas; Damasks; Albas; Centifolas; Moss roses; Ramblers; China roses; Portlands; Noisettes; Bourbons; Hybrid perpetuals; Teas and early hybrid teas; Hybrid musks; Climbers; Shrub roses & ramblers; Rugosas; David Austin roses; Cultivation; Pruning; and Landscaping ideas. Plant an Old Fashioned Rose or two as near to your bedroom window as practical. Enjoy the evening scent. Hay fever sufferers don’t need to told about the typical symptoms of sniffing, sneezing, puffy eyes, sore throat and a runny nose. Starting in spring through summer these symptoms are likely to be caused by pollen and allergens. All year round symptoms are more likely to be caused by dust mites or pets such as cats. Asthma is characterised by chest and breathing problems and can be caused by allergic triggers such as pollution, infection, or allergens. Airborne particles including pollen and fungal spores can bring on an attack especially if there is a known susceptibility to asthma. 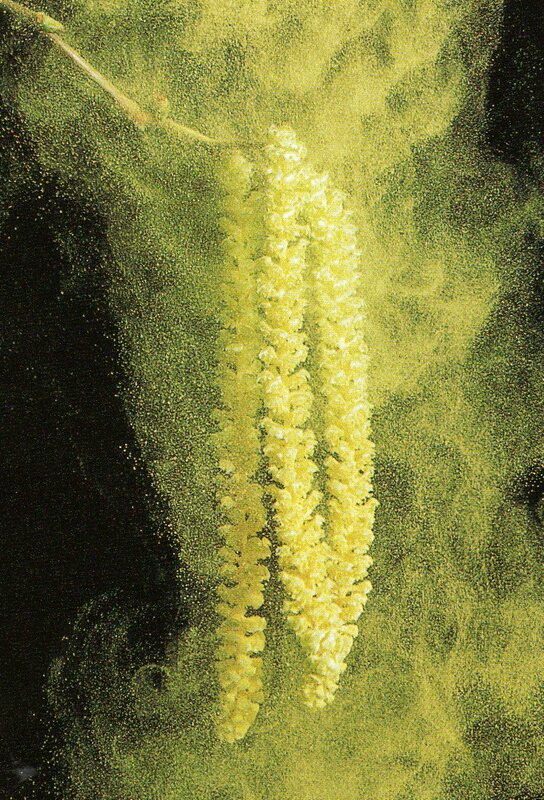 Given the above it is logical to avoid plants that are high in pollen particularly those that are wind pollinated. This includes grasses, weeds like docks and plantains, trees and shrubs that flower before the leaves are fully formed such as Hazel,Alder, Oak, Poplar, Sycamore and Birch. Use other low pollen trees such as pink or red Hawthorne, Crab Apple, Prunus Cherries or Mountain Ash. These trees attract Bees so if allergic to stings then be even more selective with Ameleranchier or double flowered Japanese Cherries. 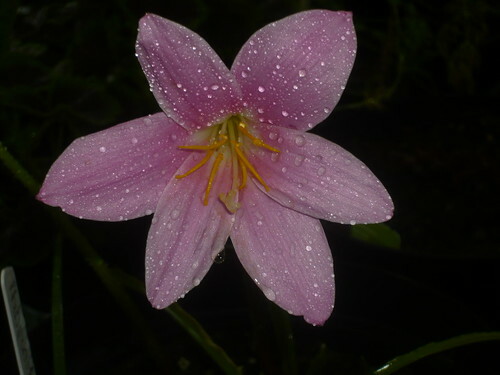 Female flowers do not produce pollen so chooses them in preference to male plants. Male trees or shrubs all produce large amounts of allergenic pollen. If you can avoid having a lawn that may be best if not cut it regularly before it flowers or better still get a none sufferer to cut it. This is because even un-flowered grass will have trapped other pollen, dust and spores that is disturbed when cut. For play areas use play ground rubber, artificial turf or inert covering but be aware of dusty surfaces. For flat areas use ponds or water to reflect other green colours from the garden. Hosta come in a wide range of textured and coloured leaves. occasionally a variety may have scented flowers but these can be cut off. Geum and various Penstemon may be comparatively short lived but you won’t need a constant supply of tissues. 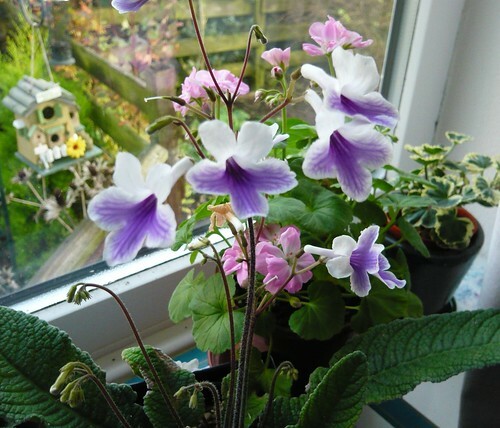 Annuals and biennials offer a fairly good choice including Busy Lizzie, Forget-me-not, Lobelia, Universal pansy (not the scented violas), Petunia, Nigella and Nasturtium. Plant disease-resistant varieties as mildew, rust and black spot reproduce by spores. 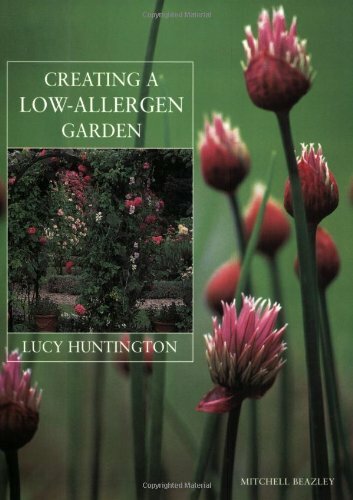 Read about Scent and Smell in low allergy gardens. 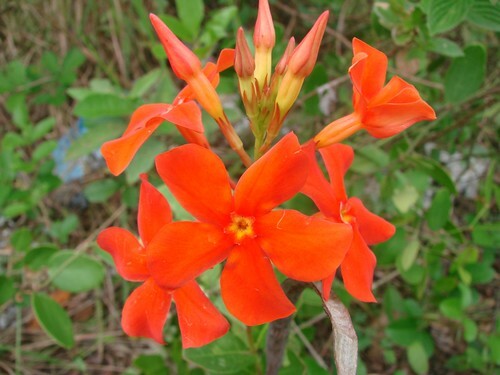 There are over 100 species of Mandevilla but the best to grow are often sold under the name Dipladenia splendens. I rate these climbers from Central America as the type of plant you can expect to see in far greater numbers in the coming years. 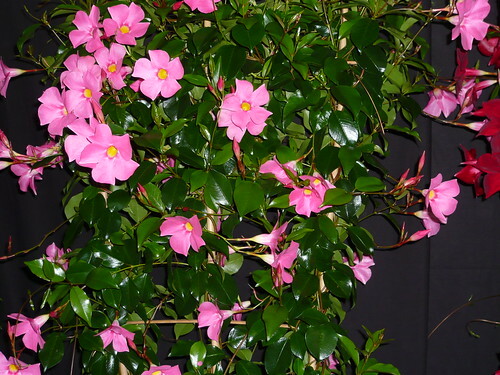 Mandevilla generally have waxy, fragrant, showy, trumpet-shaped flowers during the growing season in early spring. They are fast growing woody vines that can reach heights of 10 feet so need support. Mandevilla growth is not frost proof and need winter protection although roots may survive. The fragrant flowers of pink, red and white compensate for slightly sparse foliage. Repot as little as possible. Requires a sunny position but tolerates partial shade. Needs a well drained mulch or potting mix, with slow release fertiliser as it is a heavy feeder. Feed every two weeks with a fertilizer high in phosphor. Keep moist but do not allow to stand in water. Propagate from sturdy wood cuttings in spring. Look out for cultivars Red Riding Hood, Alice du Pont (pink) and Yellow which has wide, bright yellow flowers. They are lower growing and shrubbier than the species and superb in hanging baskets. Beware if you grow one as a houseplant as the sap or latex can be caustic and is reputed to remove warts (and all). Just a drop of aromatherapy oil can have a stimulating or calming influence just as the scent in a good garden can. It is no surprise then that many scents come from plants. Unfortunately for most gardeners the plants , trees and shrubs are native to hot and or damp climates and need special conditions to thrive. Bergamot is one of the most popular oils coming from the Orange citrus family. Bergamot provides the flavouring in Earl Grey tea. Citrus aurantium ssp. bergamia The bergamot orange is unrelated to the herb of the same name, Monarda didyma. Ancient oils provided medical remedies, Black Pepper for catarrh, Cedarwood for dandruff, Eucalyptus as an antiseptic. A couple of drops of Rosemary on clothing is said to get rid of sluggishness. Both Myrrh and Frankincense grow as small trees or shrubs; they are of the botanical family Burseraceae. 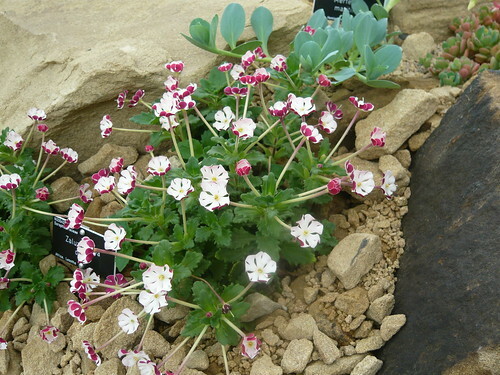 Their natural growing range is limited, but this has been extended by cultivation in Arabia. Oils for perfume include Patchouli extracted from the leaves of a variety of mint and Otto of Roses made from a Bulgarian rose damascena but needing 60,000 roses to produce one ounce of oil. Ylang Ylang oils name means the Flower of Flowers. Ylang-ylang blends well with most floral, fruit and wood smells. Tea Tree oil has no link to the Tea plants of the Camellia oleifera. It is extracted from Melaleuca bark and used as an antiseptic. Herbs that we grow can produce oils but large quantities and distillation equipment is probably required for Basil, Lavender, Peppermint, and Rosemary. Whilst it may be practical to grow many plants in the UK most on the list below need sun and a warm temperature. For small quantities a greenhouse or hot house may be the answer. 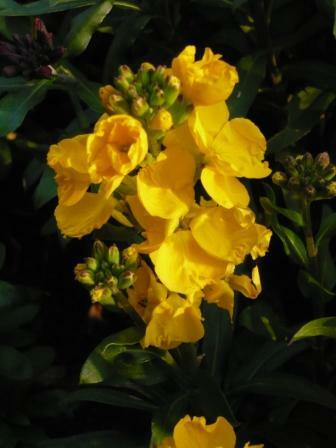 Good wallflowers are not to be sniffed at – well actually they are as I find them one of the most aromatic flowers. You can’t beat wallflowers for scent in the spring garden. On a still morning and through the day the aroma is quite intoxicating. I am looking at seed catalouges now to buy the seeds I want to sow in June – July 2009 to grow sturdy bushy plants to flower next spring 2010. In truth most varieties will do and I will probably get some cheap packets from a local store. The bushy plants will be grown by pinching out the growing tip in September to encourage the bushy growth and they will be planted in the flowering position in Autumn when the space is cleared. Plants may survive more than on flowering year but become very leggy so treat as biannuals. As wallflowers pass their best they need to be turfed out to make room for new annuals or plants such as Dahlias. 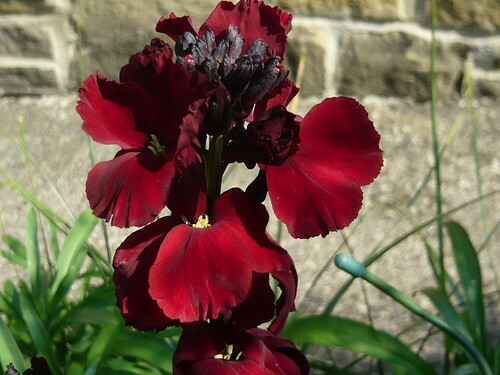 I can’t wait for Wallflowers to self seed as they look very leggy and seldom do as well as newly sown plants. If some plants have grown in neglected spots you can leave them as they often survive several years. 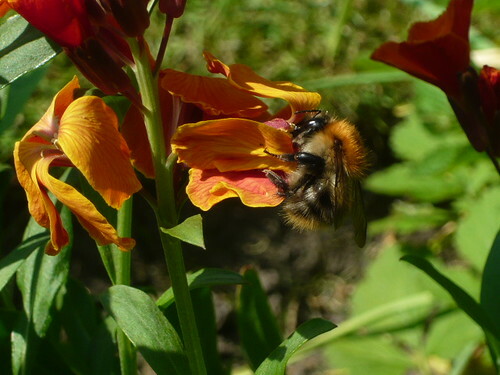 Sow Wallflowers for next year from July onwards – they are best grown as biennial plants. In Autumn pinch out the growing tips of seedlings to make bushy plants. 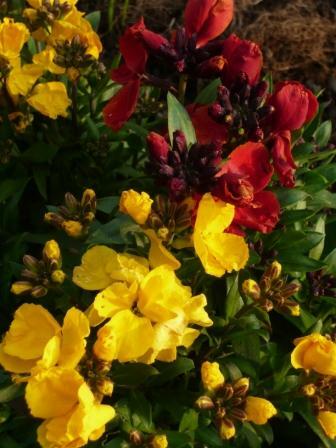 Try growing Wallflowers in tubs or old pots. They can be moved into place for the scent and colour in spring, then the pots get replanted for summer. I think the red bedder varieties smell the best but scent is in the nose of the sniffer. Thompson Morgan’s Wallflower collection is available by mail order from this list. Rose Yorkshire Day 1st August – Organics for southern softies. The Daily Telegraph report that a new range of Organic Seeds are to be available from Duchy Originals. This announcement coincided with Prince Charles visit to Ryton the Garden Organic establishment (HDRA). It amuses me to see amongst the range of tools on sale at Duchy Originals a Dutch Hoe but may be I am confused somewhere with the Prince of Orange. Organics is as organics does and the move to chemical free gardening has been highjacked by the organic movement. We and our food is all organic in some form or other. Some organic compounds can be most dangerous including some poisonous plants. Thoughtful gardening will enable a sensible regime to coexist within a garden without slavishly following a proscribed ‘Organic’ regime. Herb tea made from dried or fresh leaves can be drunk hot or iced. 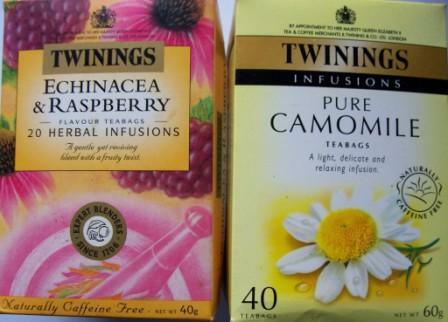 Chamomile tea is popular and can be bought in tea bags but growing your own is more satisfying. Use one or two tea spoonful of leaves, dry or fresh, to a cup of boiling water and steep for five to ten minutes then strain if you wish. Mint, Fennel and Sage can be used to create teas in the same way. Herbs were added to straw to deter insects in less sanitary times. Today it would be enough to collect flowers and put them in a small packet or muslin bag and hang it close to the bedhead. Aromatic herbal baths can be theraputic and pleasurable. Hang a muslin bag filled with a handful of leaves under a running hot tap as the bath fills. For stimulation try Basil, Bay, Lemon balm and Verbena, Mint or Rosemary. 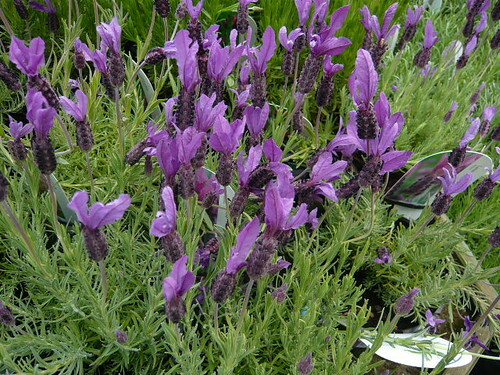 For relaxation try Chamomile Valerian, Lavender or available scented flowers. Herbs work as both preventative and curative medicines and the Greeks and Chinese have long been exponents of the craft. Remedies can be very powerful and be treated with respect. Do not ingest with prescription medicines without consulting a doctor.